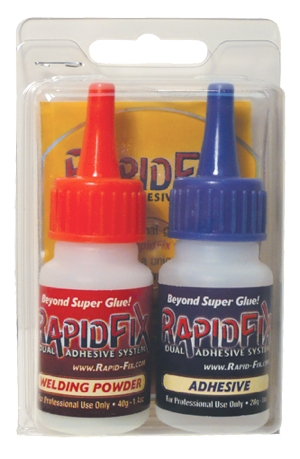 The RapidFix glue is a combination of an instant adhesive plus a welding powder that is an incredible tool for repairing almost anything. 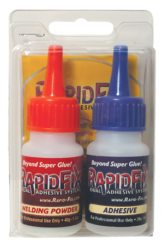 You can use the Adhesive by itself or add the welding powder. Guaranteed NOT to dry out for at leat 12 months. That means that after you open Rapid Fix, you have a year or longer to use it.